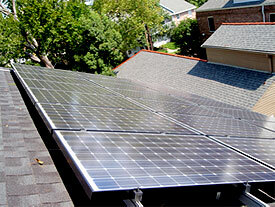 Artisan Solar PV installation in Uptown, N.O. Find out if your home or business is suitable for a solar hot water or solar electric system. Solar energy systems should be one part of an energy efficiency strategy because the more efficient your structure becomes, the lower the cost will be for a solar energy system to meet your goals. Artisan will consult with you to determine whether you are ready for solar or whether you can take steps to improve energy efficiency in preparation for installing solar. Once Artisan determines how a solar energy system fits your plans, Artisan will assess whether your site has appropriate solar resources (i.e. whether there is sufficient sunlight on your property or whether there are shade obstructions). The Artisan approach is to craft a solution appropriate to each client. Find out how state and federal tax incentives make renewable energy a fiscally-sound option for you. Louisiana provides a 50% tax credit for residential renewable energy installations. Also, if your state tax bill is smaller than the tax credit, the state will send you a check for the difference! You can combine that with a 30% federal tax credit. note: please consult a tax professional to confirm how this fits in your financial plans. Solar thermal installation on the West Bank of N.O. Find out how to save on utility bills and increase the value of your property without increased taxes. Savings on utility bills vary widely depending on your structure and the way you use energy inside of it. Artisan will discuss these aspects with you to determine what is appropriate for your site, your habits, and your goals. 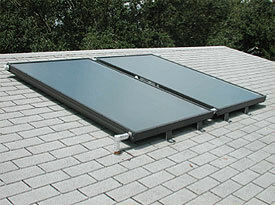 In general, solar pool heating provides the largest return on investment and saves the most on energy costs. Solar thermal can save approximately 70% of the cost of your present method of heating water and solar attic fans replace electric fans or reduce your air conditioning load. Solar PV is appropriate for those who have taken energy efficiency measures or are pursuing new construction. Further, a solar installation adds to your home’s value, but state law prevents property tax assessors from including a solar energy system in appraisals. Therefore, adding solar not only saves on your utility bills, but also adds equity. Artisan and its subcontractor team are licensed, insured, and experienced professionals able to complete the work to all applicable code standards and to qualify the work for the state and federal tax credits. Artisan will provide proof of credentials and testimonials upon request. Solar is our brightest energy resource.